On March 24th the UN Human Rights Council has voted “to produce a database of all business enterprises” that operate in illegal Israeli settlements. 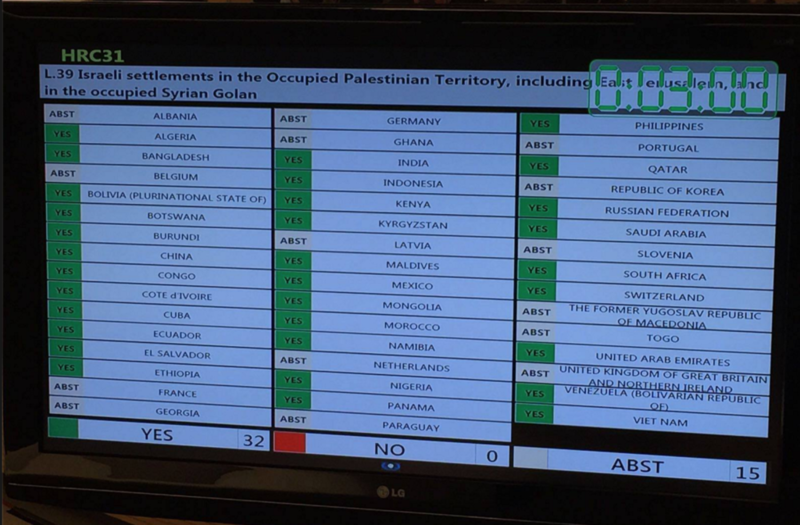 The resolution passed with 32 votes in favour and 15 abstentions. The Council also decried specific Israeli practices it outlined as “undermining” the status quo between the parities including a recent large land confiscation in the West Bank and settlement construction in Area E1—a land corridor where settlements would sever the territorial continuity of the West bank.